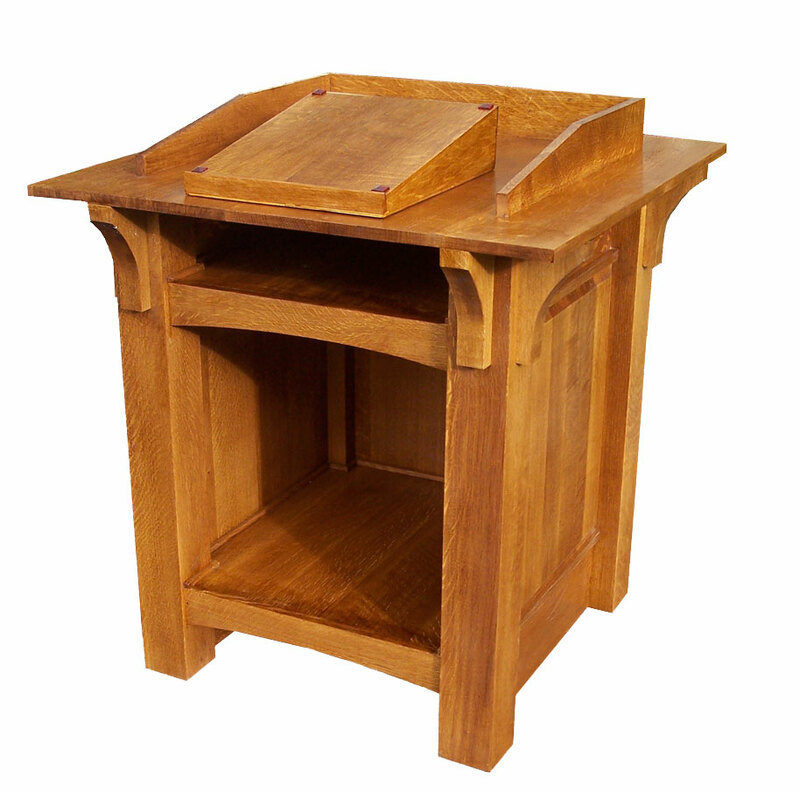 That’s an accurate description of The New Mission Workshop’s vision of the mission pulpit (or lectern). Made of all quarter-sawn white oak, this massive structure is as solid mechanically as it is visually. The New Mission Workshop pulpit features raised panels, corbel supports under the main table, a privacy gate, and a removable book riser – for those times when you need to use an overhead projector, computer, or other apparatus. The legs, massive at 4 inches across, are also quarter-sawn on all four sides – unheard of today. 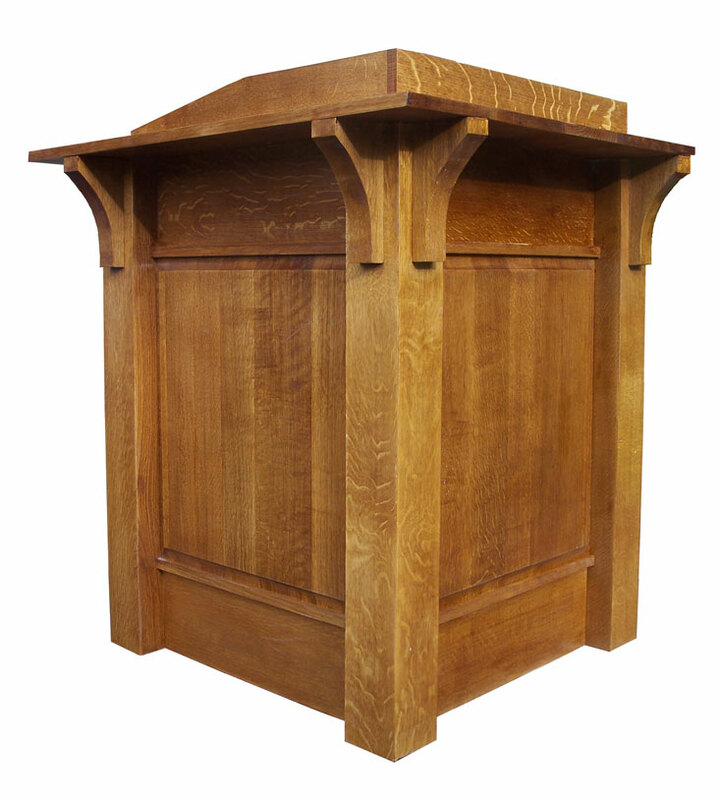 The Sentinel Mission Pulpit, the grandest product New Mission Workshop offers, came about as a commission from a pastor in a small church. Dimensions: Approximately 42 inches tall to top of privacy gate; the top table is 36 inches square. Finish: Aniline dye, with 3 coats of semi-gloss polyurethane topcoat. To see a documentary on how the Sentinel was built, click here. How the Sentinel Mission Pulpit was built. I’m very proud of the project for a few reasons. One, I designed it myself – and I still like the design; it came well; the pastor really liked it; it serves in God’s purpose. Check out the photo documentary of the planning, building and delivery here.